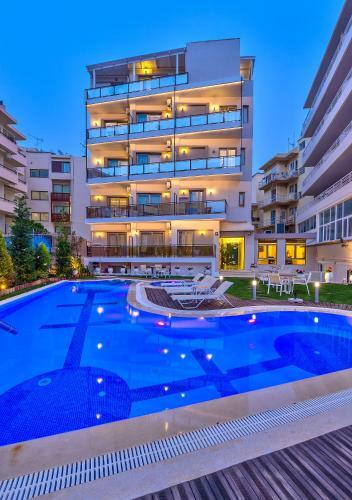 Featuring a swimming pool and a sun terrace with sun loungers, Emilia Hotel Apartments is located just 50 metres from Perivolia Beach in Rethymno. It offers self-catering accommodation with free Wi-Fi and a balcony. 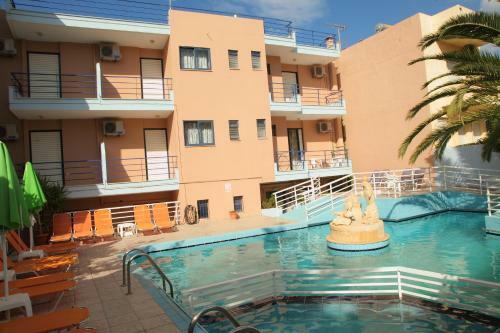 Erato Hotel Apartments is located in Perivolia of Rethymno, within 300 metres of the beach. It has a garden with a stone-paved sun terrace and offers self-catering units with a balcony. WiFi is offered throughout. 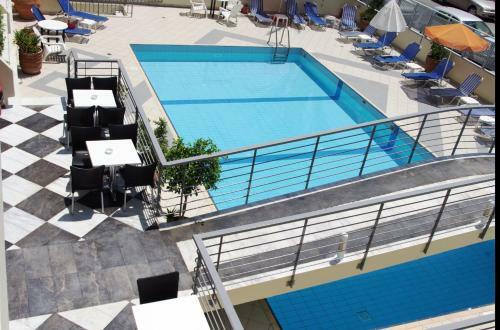 Just 50 metres from the beach of Rethymno, Bella Mare Hotel Apartments features a swimming pool and a restaurant. It offers self-catered accommodation with free Wi-Fi and a furnished balcony. Mahis Potamon & K.Lemonia Str. 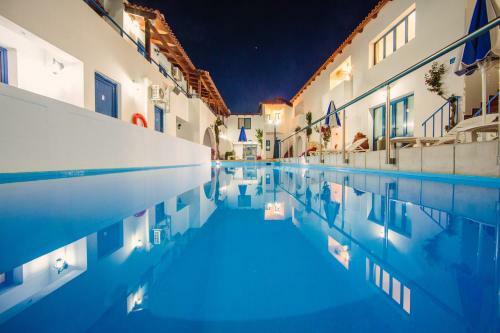 Daisy Hotel and Apartments is 50 metres from a long sandy beach in Rethymno and close to various shops, taverns, caf�-bars and supermarkets. It offers a pool, free Wi-Fi and self-catered accommodation. 11, Sotiri Petroula & Kalogeraki str. Situated 400 metres from the beach of Sfakaki in Crete, Radamanthy's Hotel Apartments offers a swimming pool and a snack bar. It features self-catered accommodation with free Wi-Fi access. Just 100 metres from Skaleta Beach and 11 km from the medieval city of Rethymno, Babis Hotel features air-conditioned rooms with free Wi-Fi. The hotel offers breakfast and a bar. Each room at the Hotel Babis is equipped with a TV and radio. 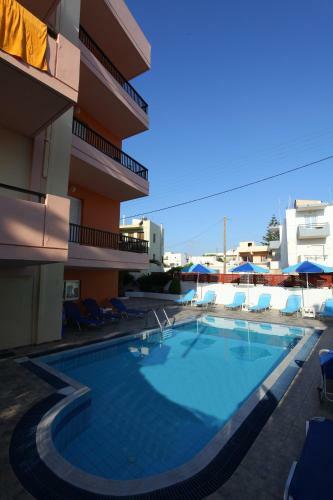 The Medusa is located by the beach, a 10-minute walk from the centre of R�thymno. It features self-catering accommodation with free WiFi. Facilities include a terrace with loungers and parasols. Hotel Leonidas is situated just 30 meters from the main beach, in the area of Kallithea, in Rethymnon. It offers a dining room and a bar. Melitti Hotel is favourably located a few metres from the sandy beach of Rethymnon and 2 kilometres from the heart of the old town and the famous Venetian Harbour. 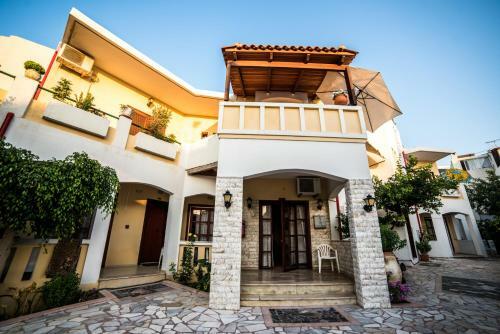 The family-owned and operated Zannis Hotel Apartments is located only 50 metres from the Blue Flag Rethymno Beach. The 2-star hotel features a pool with poolside snack bar, and offers air-conditioned rooms with fridge. Situated on the pine-covered hill, with a spectacular view of Rethymno, Forest Park Hotel offers a recreation area with Table tennis, billiards and chess and free open-air parking. 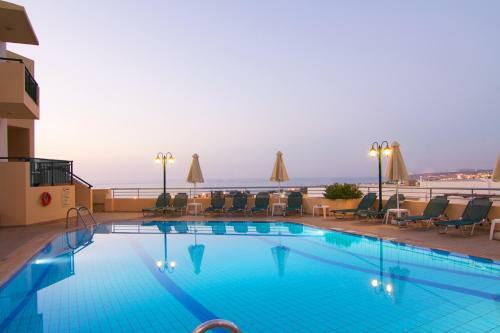 The centrally situated Hotel Pegasus is just steps away from Rethymnon�s long sandy beach. It offers spacious self-catered rooms with private balconies overlooking the sea. 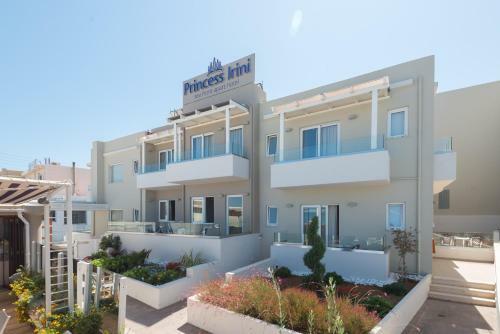 Right across from the beach, Irini Sea Front ApartHotel features a restaurant and self-catering accommodation with free Wi-Fi access. The town of Rethymno with its Venetian harbour is 1.5 km away. 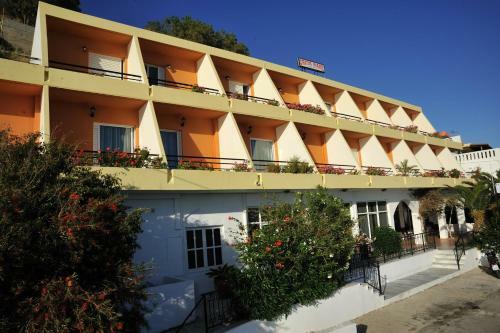 Situated in the centre of Panormo village, Iliana Hotel is only 150 metres from a sandy beach. It has an outdoor pool with sun-lounger terrace, and offers air-conditioned rooms with kitchens. Kleoniki Mare Hotel in Rethymnon is just 50 metres from the main beach and 700 metres from the centre. It offers self-catering holiday units with furnished balconies overlooking the pool. 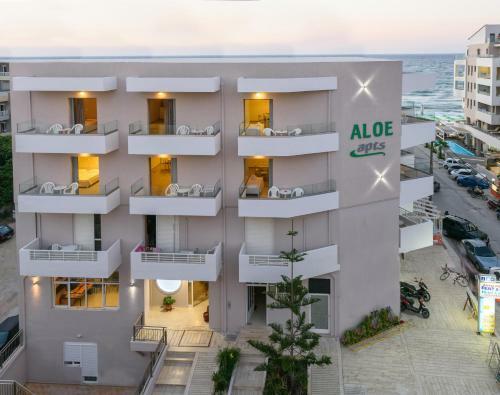 Aloe Apartments are situated only 30 metres from the sandy beach, as well as very close to the old town of Rethymnon. The complex offers fully equipped studios and free wireless internet. Creta Mare Hotel overlooks the sea, just 100 metres from Plakias village. 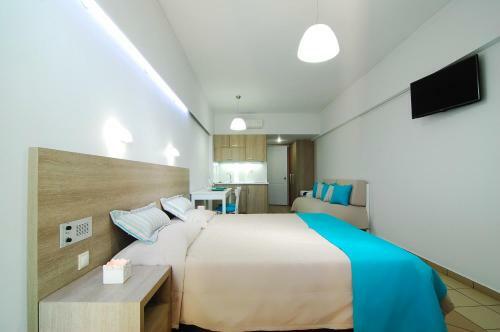 This small hotel offers comfortable accommodation with free Wi-Fi and serves buffet breakfast in the morning. Located right on the Rethymnon promenade and 10 metres from the beach, Hotel Batis offers self-catering accommodation with sea view. Facilities include a beach bar, beach sun beds and a pool. Centrally located in Plakias, just a few steps from the long sandy beach, Hotel Sofia offers bright rooms with free WiFi access. Taverns and shops are within a few metres distance. Located a few steps from the sandy beach of Plakias and a 5-minute walk from the village, Lamon Hotel offers a pool and a private beach area. It features a snack bar and air-conditioned accommodation with balcony.